It's January, the first month in a brand new year. Symbolically, you could look at January like the starting line in a 365 day marathon. If that were the case, you'd expect a lot more get up and go from my family. As it stands (at the midway point of the month) we haven't even gotten out of bed and laced up our shoes. It's wintertime here in Germany. More specifically, it's my first adult winter. I was made for shorts and sand and the sun reflecting off an ocean. (Or a pool, I'm not picky.) I was made for iced coffees in recirculated air conditioning. I was made for two outfits a day because the first inevitably becomes too sweaty to function in. I survived Florida in July. Pregnant. I was NOT made for slugging through snow or slipping on ice while walking the dog. I was not made for remembering to leave the house 20 minutes early for an appointment to allow time to deice the car. I was not made for mopping the floors every single day because the kids and dog brought all the mud and slush within a five mile radius home with them. Alex loves it. And I'm happy he does. Really, I am. He's the one that has to get up and drive in the crud every morning. He's the one that goes to the post office during his lunch, because he knows that is not on my ESSENTIAL REASONS TO DRIVE list. He was tired of the same climate year after year, so this place is good for him. And I'm grateful my kids will have gotten to experience it in their lifetimes. Sure, they won't remember it, but that's what the 800 iphone photos are for. However, I'm counting down the days until summer returns. Bring on the fans! Bring on the parks! Bring on the bugs! All this is stemming from the fact that over the past few days, our area has been hit with some pretty nasty weather. Thursday night there were high winds that knocked over a tree in our backyard and Friday morning a few inches of snow dumped on us. Then this morning, we got even MORE of the stuff. I felt like I was wading through a ball pit trying to take the dog for a walk. Our landlord had to come over with his tractor and clear a path for all the vehicles. There was just so much of it. So, what am I doing to survive this month? Well, it's hard for me to pinpoint too many items, because I feel like I've been failing more than succeeding these days. One by one everyone in the house has caught a cold, and so we have all been drippy and tired and irritable. And this happened just 3 weeks after the Christmas stomach bug everyone but me caught. Frankly, I'm sick of the sickness. I hate seeing my kids miserable. Even more, though, I hate having to be super mommy all the time. Landon is pretty much the worst sick person ever. Imagine a dead fire alarm battery chirping relentlessly somewhere in your house, and that feeling you get every time it mocks you is close to Landon's whining. And then take that sound and combine it with an irritable old Chihuahua who refuses to eat or drink and you've got my son. It's the worst. And he completely fails to understand that he has a little sister who eats up my attention, too, and that there's dishes that need to be cleaned and laundry that needs to be washed. It makes for long days, and I will be the first to admit I'm not the best mom during those hours. I'm not naturally nurturing; when I don't feel well I want to be left alone and so it's difficult for me to process that others aren't that way, as well. I am not the sort of person who is good at comforting others and playing nurse. Everyone has their faults, and at least I am aware of mine. I feel I have a lot of good things going for me, but handling sick ones is not one them. Add in the weather, and I have had my share of low moments throughout the week. It happens, we're all human. Any mother worth her salt feels like she's screwing her kid up for the rest of their life occasionally. But if you're lucky enough like me, you can take some time to look inward and force yourself to focus on the traits that bring feelings of self worth and capability to mind. Staying positive and not letting a bad day turn into a bad month is key. So, how am I surviving being stuck at home in this cold when I was supposed to be in Belgium on this 3 day? A) I take the kids out to play in the snow. Just because I detest the snow doesn't mean I'm going to deprive the children of some fond memories. Landon loves building snowmen and chasing Buster around the buildings. Evie just stands around, but she does get a kick out of watching me throw snowballs at her brother. I thought summer was the best time to fly through some novels, but I was wrong. There's nothing I want more in this cold weather than to curl up on the couch under my favorite blanket and read. So far I have only visited some old familiars, but that's what my mood has been calling for. 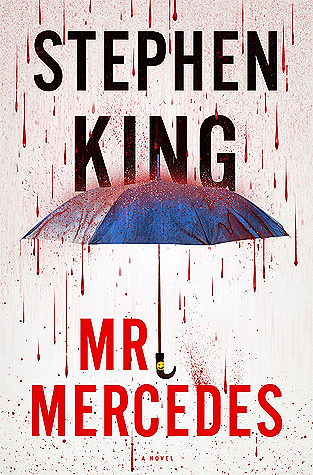 When feeling particularly grouchy, what better world to escape into than one created by Stephen King? I finished his novel last night, and now I'm rereading Dan Brown's Angels and Demons in preparation for our upcoming Rome vacation. It's hard working out in the winter. Harder than I thought it would be. I should get an award for forcing myself out of bed at 5:30 in the morning when the world is still dark and my muscles feel like rubber. I hate it. Yet I love it. I love the results, I just hate the actual work I have to put in. Except the Yoga and MMX routines. I LOVE those days. There's nothing that takes my mind off the current stresses better than organizing and preparing for the future. It's like a drug for me. When the kids are asleep, I sit down at my computer and fire up the trusty Excel Spreadsheets and look at how I can make my family's dreams possible. Alex and I want to do several key things while we're over here, and I find a great sense of calm when I can map out a solution to making those things happen. Some situations fall into our lap without any help (like our London trip) and then others take careful diligence on our part (like our minivan fund). Whenever I look outside and get discouraged because I know 100% I ain't getting behind the wheel of my car that day, I close my eyes and picture my family doing the activities we hope to be able to do. I see my kids running around Ireland and sledding down a hill in Edelweiss in 2019, Alex and I walking into Epcot by ourselves in 2019, and then checking into Aulaini for our 10 year Anniversary. Those mental images always bring me back to my computer and back to my spreadsheets, and the familiar thrill of trying to solve a fun math equation comes back. It's weird and not just subjective to trips. I love to plan everything. It's almost mind boggling considering the circumstances that I haven't already created my packing lists for Rome. How do you people survive without a color coded chart of what items go in which bags? Or without printouts of train schedules or the predicted weather temperatures for the area you're going to? It's still a wonder how I survived a military overseas move, right? All that unknown, all those last minute changes? Aside from those big things, I follow the latest Disney news, (where was Express Transportation when I had an 8 month old?) continue to try more environmentally healthier methods (hello one less trash bag a week and almost zero wasted produce) and play board games with the kids. I really hope for everyone's sake this is the only big snow burst we get this season and Alex and I can go out and enjoy more of the land come February.